Here in this article, we come with the complete list of all official stable OxygenOS updates and Open Beta updates. OnePlus ships its device with Android Software and has developed its own near-to-stock Android skin which is called OxygenOS. The OxygenOS is quite close to stock Android with a few minor changes. The manufacturer releases the regular update for engaging users and lets them make the best out of their smartphones. The official updates come with lots of new features, customizations and bug fixes. Given below we share a list of all official stable and open beta OxygenOS updates, you can just download the latest firmware and install it by following the step by step guide. First of all, we must know about what it open beta or stable firmware. The Open Beta builds are slightly unstable builds which bring new features and functionality. The Open beta build is not tested completely; users are testing it out and give feedback for fix the reported issued. The stable build is highly tested on all devices and also check the stability and reliability. The official stable is directly installed on your device without any changing factory settings. Open beta builds are install those users who can’t wait for stable build and excited to get the experience of the latest Android OS and new features. It is a good alternative of stable build and Open beta builds is a great testing platform. 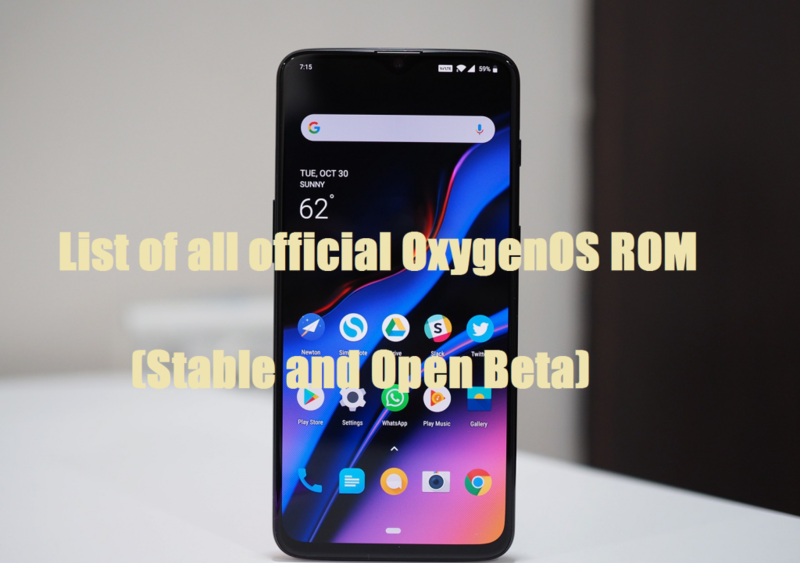 So if you are the owner of OnePlus 6T and want to install the latest official build then here we share the complete list of all official stable OxygenOS updates and Open Beta updates. If you are interested in installing the official build on your OnePlus 6T then go ahead and follow the given steps. Take a complete backup of the entire data on the device before proceeding. Do charge the battery of OnePlus 6T more than 70% before processing. Download OxygenOS ROM and then copy it into ADB folder in drive C:\Programe 86x. Now connect the device to PC and run the cmd window in the ADB folder. At cmd window issue adb devices command to check the connectivity status of the device. Then issue adb sideload Downloaded-FileName.zip [Replace Downloaded-FileName with the actual name of the file then press enter button. Finally, wait for process completion and then reboot normally.